I'm a new fan. 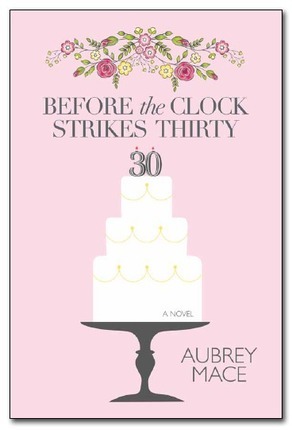 I've read three books from Aubrey Mace in a week because the writing is so witty and fun. Totally couldn't put this down and I was literally laughing out loud at times. The story kept me engaged and interested. I highly highly recommend it! The comedy begins right from the beginning of the book. 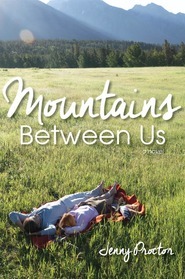 Shannon is the main character and the book is written in the first person from her perspective. The voice used reminds me of what I imagine a grown up Junie B might be like. Shannon attends her best friend's sister's wedding. She gets to help serve the refreshments. This is a moment that she has longed for and she is thrilled to be invited, until she meets a boy with a chip on his shoulder who spoils it for her. She also meets a fortune teller who foresees that she will meet her future husband at a wedding reception and he will be wearing a silk tie. This will happen before she turns thirty. Fast forward several years and the fun part of the story is told. Shannon is attending BYU and takes a choir class to help her learn to sing. A handsome and talented young man sings a solo. She strains to get a better look and passes out. Turns out he is the "jerk face" she met as a kid at the reception mentioned above. She learns that he has grown up and become a descent man. Too bad he was a "jerk face" because she will never be able to take him seriously. They are best friends, but that is as far as she will ever let her feelings go. They go on a mission to receptions they are invited to, and crash a few, to help her find the man of her dreams. The funny thing about life is that sometimes the dreams change. It's up to the person to find out what the new dream is. This is a very clean romance that romance lovers of all ages will enjoy. As a little girl I used to play "wedding." I was always a beautiful bride with a pretend handsome groom. This book brought back ALL those fond memories. This book has it all and in such a fun manner! Like me, Shannon LOVES weddings! She met... (read with drama) ... "the gypsy aunt." The only thing Shannon loves more than a wedding is a gypsy. So what was the fortune that the gypsy predicted for Shannon? 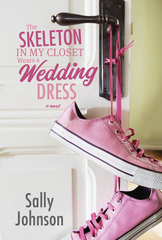 "before her thirtieth year, Shannon will meet the man of her dreams at a wedding reception." Many years, and many wedding receptions later, Shannon is still seeking that "true love." It is at this point that Shannon's best friend, Nathan, steps in and offers to help her. All in the name of bring the fortune to pass. And who is this Nathan? Read to find out his fun twist in the story! LOVED. LOVED. LOVED. THIS. ONE. From the first page, I knew this was going to be a fun read. Aubrey's humor brightly shined through in writing these fun characters and enjoyable story. I laughed a lot, smiled a lot and at times, I wanted to smack Shannon. As fun of a character as she was, she was stubborn and clueless. But that turned out to be my favorite thing about her. Her inner voice and the back-and-forth way about her made for a great read. We first meet Shannon in a closet with her best friend, Nathan, while they are hiding from an interesting situation at a wedding. The rest of the story is told in flashback, starting when Shannon was younger, and when she first meets Nathan, AKA: Jerkface. (I'm going to let you figure out why/how he is called that.) I loved how this story was told. Very clever and entertaining. Shannon, of course, stole the show for me. Darling character who is trying to figure out her life, while trying to figure out who she loves. 4 out of 5 stars. I know I sound like a broken record, but this is a very fun read that will leave you happy at the end. The characters are strong and Aubrey's writing is solid. I loved the book! It was a fun read. I thought the characters and the situation were believable. 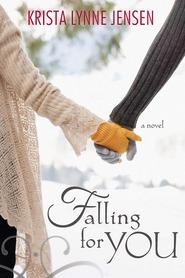 I would totally recommend this book to those looking for a fun, romance to read. I really enjoyed it. I almost didn't get it when I was at the bookstore because it was so thin but I'm glad I did. I can't wait to try out some of the other books this author has written.